After being involved in social media for over a decade, I have made a few observations that might be helpful to folks who use social media, more specifically Twitter, to develop and maintain a Personal Learning Network. I started my Twitter account with a plan and focus to use it to develop collegial sources for my professional learning. That may be different from why most people sign up for Twitter, but that is an educator’s perspective that may not have been imagined by Twitter’s founders. Using Twitter for professional learning requires a collaborative mindset. Being collaborative requires more than just consuming ideas from others. It requires sharing, commenting, reflecting and sharing again. This requires work. Twitter for professional learning is not a passive exercise. It does require time and effort. The rewards and benefits however, can more than outweigh the effort. The key to having valuable and relevant information arriving on a Twitterstream is totally dependent on who is being followed. In order to get thoughtful and credible information tweeted to one’s timeline, thoughtful and credible educators need to be followed. Who one follows is the single most important factor in succeeding at professional learning when using Twitter. Maintaining and upgrading that follow list takes time and effort. Each of those follows is a person. People vary in their involvement in anything from time to time. They may lose interest, becoming inactive for a period of time, or maybe forever. One’s follow list needs to be constantly updated to accommodate those who drop off the stream. Additionally, an educator’s interest may begin to branch out. In my time on social media the iPad, smartphones, 1:1 laptops, 1:1 chromebooks, Flipped classrooms, STEM, Rigor, and many other initiatives were introduced to education. 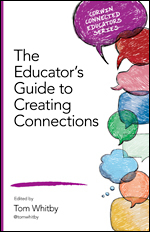 With each of these introductions new educator experts emerged. All had to be added to my follow list if I was to maintain relevance. As initiatives develop in education new people most familiar with those initiatives need to be followed. Educators who are vocal and knowledgeable while involved in Twitter chats are another group from which I add follows. People who engage me in thoughtful education tweets are also most often followed. I usually look at a perspective follow’s profile to assure their educator credentials before I commit. It is easy to get a follow list much larger than one can handily manage with all of these follow considerations. To simplify and organize tweets, chats, hashtags and groups of follows, I employ TweetDeck. Hootsuite is a similar tool. I am able to create dedicated columns that follow specific hashtags, groups, or individuals in addition to separating out my Twitterstream, Notifications and Direct Messages. Each of these designations gets an individual column. The time investment to accomplish this can be as little as twenty minutes a day. The warning here however is that often times a learner may actually get caught up in the learning and spend more time than planned on a given topic. 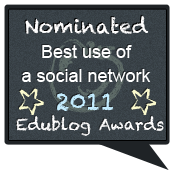 Social media opens educators to the pedagogy, and methodology of others. It offers transparency to policies. It questions the status Quo. It forces reflective thinking. It acts as a megaphone for new ideas. It gives educators a voice in the discussion of their own profession. None of this will happen however unless an educator comes to the table with a collaborative mindset and a willingness to spend time collaborating. Educators should never expect less from themselves than they expect of their students. A good teacher is also a good learner, and a good learner can always become a great teacher. Whom Should I Follow on Twitter? The title of this post immediately kills any chance of a large-numbered readership when it posts on ASCDEdge. 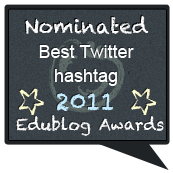 For some reason any post with Twitter in the title does not do well with a general population of educators. Social media as a source of professional development has yet to catch on in large numbers among educators. There is however a growing number of educators using Twitter who look for strategies to better serve them in social media for collaborative learning. Whom should I follow on Twitter and how do I find them are key questions that need to be addressed. First, we must understand that the worst advocates for collaborating with Twitter are more often educators who are collaborating through Twitter. They tend to overwhelm the non-users or new users with elaborate stories of the astonishing wonders of Twitter, as well as all of their astounding Twitter connections. They create an image in a newcomer’s mind that intimidates and scares them from engaging. Additionally, advocates often use jargon and acronyms of experienced Twitter users that do not communicate well with the novice while further mystifying the process. I will attempt to keep it simple. To understand how Twitter works one needs to understand that the only information one gets is from the people who one follows. That is why when we first signed up on Twitter, there were no tweets in our timeline. We were not yet following anyone. The first reaction of an educator is to ask where are all these sources people are talking about? Of course the first thing a newbie starts to do is follow the famous people, mostly entertainers and athletes. The timeline then begins to show their Tweets, mostly Public Relations, or fan related tweets. But where are the education Tweets that will get me collaborating, you might now ask. They don’t exist if you are not following educators, even more precisely, if you are not following the right educators. Following ten actors, ten singers, two politicians, and the art teacher down the hall will not generate many education sources, unless the Art teacher down the hall is also an adjunct education professor. The key to getting many helpful education tweets containing sources that a teacher may use in the classroom is to follow many, many classroom teachers. Of course to pinpoint your specific education interests you will need to pinpoint those whom you follow as well. A third grade teacher may want to follow many other third grade teachers. A math teacher would concentrate on following other math teachers. As you build your Personal Learning Network (PLN) of collegial sources, you will find people outside your specific realm of interest that will also add value to your learning. As all of these “follows” Tweet their information out, your timeline begins to be populated with tweets giving education information and sources. Of course if you are also following your fantasy football team, you will have a great many football tweets as well. You may want to consider creating a separate account for your athletic gaming interests. All Twitter accounts have profiles. You should fill yours out so that people know you are an educator, as well as specifics that are unique to you in education. This is how many people judge whether or not to follow you, basing that decision on your profile. You may do the same thing. Go to a person’s profile to make sure they are an educator that would add value to your PLN. Of course you may unfollow anyone at anytime if they do not prove to be of value to you personally. They are not notified that you unfollowed them. I often follow educators who engage me on Twitter but that is not a rule; it’s a personal choice. There are well-known Tweeting educators who follow less than 20 people. I follow over 3,000. NO, I do not read every tweet. It is a personal choice for my Personal Learning Network. You decide what you need. 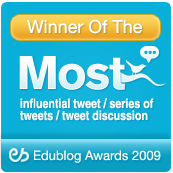 There are hundreds of education chats taking place every day on Twitter. It is very easy to access and participate in these chats. 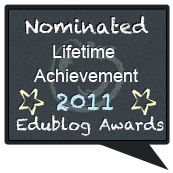 It is a great place to identify educators that will enhance you PLN. Educators involved in these chats engage in education discussions that often expose their individual education philosophy and education experience. Follow those people from the chat that you believe may offer you value to your network. Blogs are a great place to find people to follow. The blogger lays it all out for everyone to see. 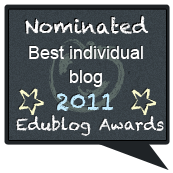 You can quickly identify where any blogger stands on education. Most bloggers make it easy for you to follow on their site. Look for a “Follow Me” icon and click on it. Many bloggers are authors as well and they often attract other authors who guest post. Authors post their Twitter handle in their bios for people to follow. If you access a person’s profile, you can go down a little further and access their ‘Lists”. 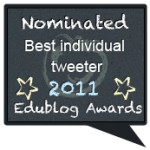 Many Tweeters create lists that they develop for groups of educators. They will use these lists to follow group members on a separate column on TweetDeck or Hootsuite. You may follow these educators as well by clicking the follow button next to each person on that list. It is not stealing. Additionally, you can follow anyone that person is following as well just by accessing his or her follow list. Friday for educators is known as Follow Friday. If no one explains what it is to you, you may go months seeing the #FF hashtag and never understanding what it represents. I didn’t get it for months. Friday is the day that Tweeters make recommendations of great people to follow. A tweet will go out with a twitter handle and why you should follow this person and then at the end the #FF hashtag. A shortcut method, less personal or informative would be to list a number of Twitter handles and the #FF hashtag. I personally like to give reasons to follow folks. There it is, a strategy for following all laid out in simple terms. A big problem with collaborative learning through social media however is that it is not a passive activity. There is no way of getting around the work one needs to do in order to get positive results. Having a plan or a strategy does make things easier. Focusing on following educators, who themselves are focused, makes for best results. Don’t just follow those whom you agree with, but follow those who challenge you as well. The most important thing to remember in Twitter: Big numbers of followers may impress some people, but whom you follow is far more important than who follows you. Over the many years that #Edchat has been engaging educators, one topic that always generates a huge amount of interest, based on comments, is the faculty meeting. Teachers are required to attend the faculty meetings that administrators are required to hold and very few are happy with the results. The only upside is that with each meeting a check may be placed in the box for attending. 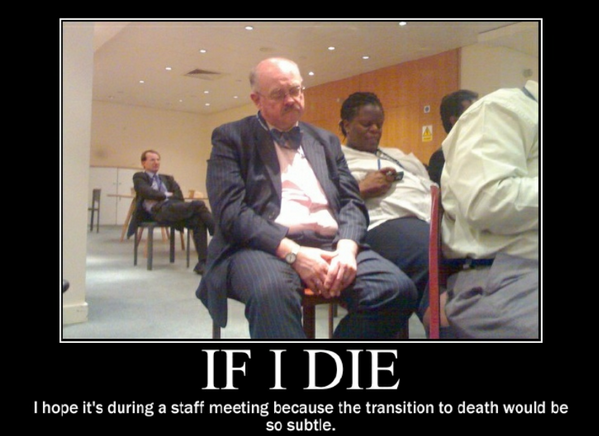 Technology may be a way to update the tired model of the faculty meeting. Email for the faculty may be a great way to distribute the mundane stuff that takes up so much time at these meetings. Of course a really progressive administrator might have a weekly Blog that could address a great many topics that bog down the faculty meetings. Once the day-to-day school housekeeping topics are removed from the meeting there will be more time for more substantive topics that affect learning in education. Using a Google Document to circulate amongst the faculty for suggested topics of discussion for the upcoming meetings might be a great direction in order to address real faculty needs and concerns. Technology offers many tools to change the face of the faculty meeting. It can make it a means of change for the school culture. It can permit and support teachers with bold and innovative ideas to lead their colleagues into change, or just expand and improve what change is already occurring. Time in education is a precious commodity to teachers. To waste a monthly get-together of the entire staff is an outrage when there are so many real needs that should be addressed or things to learn. Just because we have always run faculty meetings a certain way, that is not a justification for continuing what is so obviously a bad, or at least an unproductive practice. Administrators need to stop observing and commenting on how technology is being used by others in their school and begin employing it themselves to improve their schools. In so doing they would be modeling for all the thoughtful, meaningful, and responsible way to use technology in education without fear. Over the many years that I have been in education and around educators, I have never been able to understand why so many educators, so willingly and publicly, argue for their limitations. 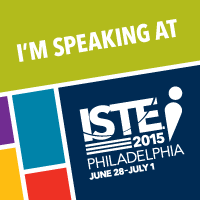 Why do they insist, as educators, on stating aloud, “ I don’t get technology and I am not going to start now”? I taught many in-service courses to educators that required computer use. On many, many occasions educators sitting at their computers would say, “I can’t do this”. My response was simple but crude; I would turn off the computer of the person who had made that statement. After protestations about my action, I would explain that they had convinced me by their statements and attitude that they could not do the assigned task using the computer. I simply accepted their argument about their lack of ability to learn through technology. That was when the light bulb floating magically over their heads would light up. Actively trying and overcoming failures was the key to accomplishing the goal. They most often renewed their efforts after rebooting their computer. Learning with or about technology for those who have not grown up with technology is an uncomfortable thing to do. It forces people to make mistakes and adjustments in order to learn. 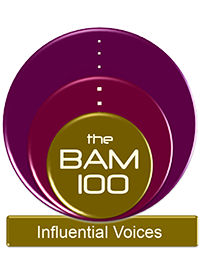 The idea of an educator making a mistake in regard to either teaching or in their own content area was something that could not be accepted according to most teacher preparation programs of the 20th century. That may be why so many people openly claim to be unable to “get it” when it comes to technology, rather than to bravely face the demons of discomfort. Technology and tides stop for no man/woman. Technology that affects almost everything we do today is not going away. It will continue to evolve at even faster rates and have an even greater effect on the speed at which change takes place. Educators today in addition to everything else they need to know must be digitally literate, because in the world in which their students will live, digital literacy will be essential to survive and more hopefully thrive. 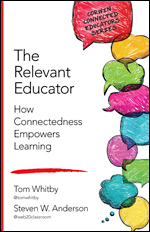 A digitally literate educator is a relevant educator. Educators who are not digitally literate are not bad people. They may also be good teachers. However they may not be providing everything their students will need to meet their personal learning goals for their technology-driven world. Educators do not need to argue for their limitations. There is no limit to the number of people, who for their own reasons, will do that for them, whether it is true or not. Ironically, politicians with their own multitude of shortcomings probably head that list of finger-pointers. Educators need to be aware of how the world has changed from the 20th century that has heavily influenced so many of our educators. Technology’s integration into learning is no longer a choice that educators have to make. Technology is with us to stay. As uncomfortable as it is, educators need to step up and stop making excuses for their digital illiteracy. Schools need to support professional development to get all educators up to speed on what they need to know. It will be an ongoing need since technology will continue to evolve. If we expect to better educate our kids, we must first better educate their educators.